Watch the record of time, every day, bit by bit disappear, every turn a circle, back to rolex replica the starting point, but still has been walking. A friend and I said that watches on behalf of enduring as the universe, the girl sent to you, all for your feelings can be a long long time. Watch is a concentrated expression of a man's taste in hublot replica life. Men generally only from the watch, pen (ball point pen), wallet, leather belt, leather bags on the choice and wear to show their fashion and taste. However, due to the leather wallet, leather bags are often slightly cumbersome and covered by women's fashion, so the choice of masculine men tend to watch and pen. The watch omega replica also embodies the pursuit of a man's life and grasp the future of tolerance. Produced the Cascade range of water heaters through out the 1990's. During the same period used Truma's space heaters such as the SB 1800 and the trumatic range. Gross train weight, this is the maximum allowable combined weight of the vehicle and the caravan, set by the vehicle manufacturer. Total permissible braked trailer weight. This is set by the tow vehicle manufacturer and is the maximum fully laden weight of anything being towed by that vehicle, that has its own independent braking system. Mass in running order, this is the vehicles weight as it leaves the factory, sometimes referred to as unladen weight. This is the weight applied to the vehicle's tow ball by the tow hitch of the caravan stated by the caravan manufacturer. The car will have a tow ball limit, which is the maximum weight that can be applied to the tow vehicle's ball, this is set by the manufacturer. The lower of the two is the maximum you are permitted. It needs to be 4% of the weight of the trailer or 25Kgs, whichever is the higher figure. This is the figure allowed for personal effects. It can be worked out by subtracting the MIRO from the MTPLM. 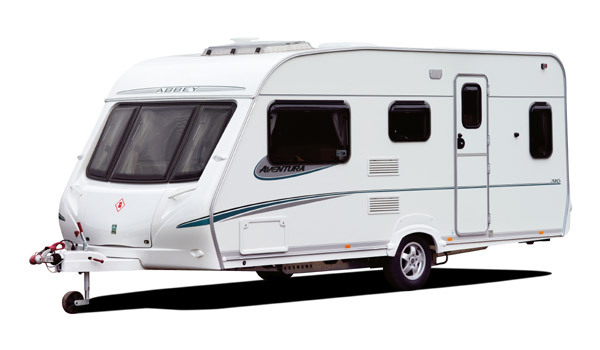 Remember, that any accessories added to the caravan such as a motor mover or an air con unit will reduce the amount of payload available for personal belongings. This is a device that prevents excessive, unwanted movement or "snaking" of the caravan. The most popular device is the Alko AKS 3004.